Since 1977, Zaki Oriental Rugs has offered a unique selection of high quality hand-knotted Oriental and Persian rugs displayed in our 100,000 square foot showroom located at 600 S Main Street in High Point, North Carolina. Our inventory is unmatched for variety and exceptional value anywhere in the United States. 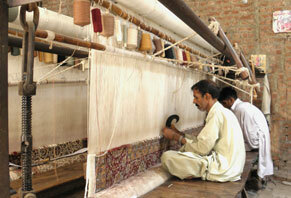 Here you will find genuine handmade rugs from Pakistan, India, Iran and Turkey. Our stock includes a large selection of fine Persian rugs in all sizes up to 17’ x 28’ including rectangular rugs, square rugs, round rugs, runners, and even tapestries, which simply cannot be found elsewhere. This extensive collection has attracted customers from all fifty states and from seventeen foreign countries. We offer high quality 100% Fine Wool, 100% Fine Silk, and Fine Wool and Silk rugs including Qum Rugs, Peshawar Rugs, Oushak (Ushak) Rugs, Ziglar (Zieglar) Rugs, Kazak Rugs, Esfahan (Isfahan) Rugs, Bokhara (Bokara) Rugs, Nain Rugs, Kashan (Keshan) Rugs, Kerman (Kirman) Rugs, Tabriz Rugs, and Tabriz Mahi Rugs in traditional and contemporary styles and colors. We also offer an exclusive selection of 100% Fine Silk Hereke Rugs from Turkey with knot counts exceeding an astonishing 4,000 knots per square inch. Zaki Oriental Rugs and the owner, Zaki Uddin Khalifa, has been recognized for promoting ethics in business by a number of professional organizations, including the BBB. Contrary to popular perception, the type of material (silk or wool) and knot count are not the sole factors that determine the quality of a rug. 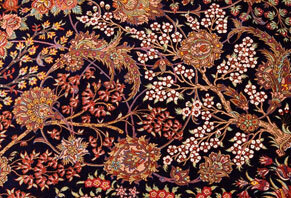 Equally important are the quality of the silk or wool, the dyes, and the standard of craftsmanship. It is important to realize that two rugs might look superficially alike and yet be vastly different in real quality and hence in value. We are guided by all these indicators of quality when we select rugs, and we will enjoy explaining them to you as we take you through our selection. Our long term relationships with reputable producers allows us first choice of their products. 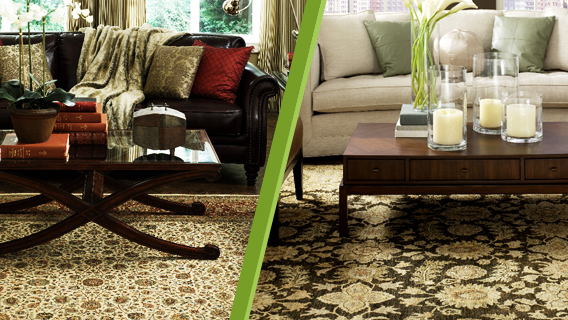 We only accept rugs that meet the highest standards. Each rug is personally inspected by Zaki himself before inclusion in our inventory. We gladly invite you to our showroom where you can review our ever-changing collection of fine hand-knotted Oriental rugs. If you cannot visit us personally, please inform us by telephone, fax, or e-mail of your preference of sizes, colors, and designs. 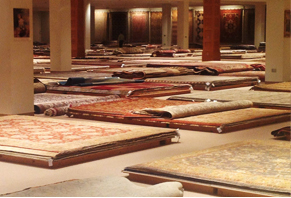 We will promptly e-mail you photos and descriptions of rugs meeting your preferences that are currently available in our inventory. Our rugs are shipped worldwide and are fully insured. Because of our large volume, our shipping charges are heavily discounted, and the savings are passed to our customers.